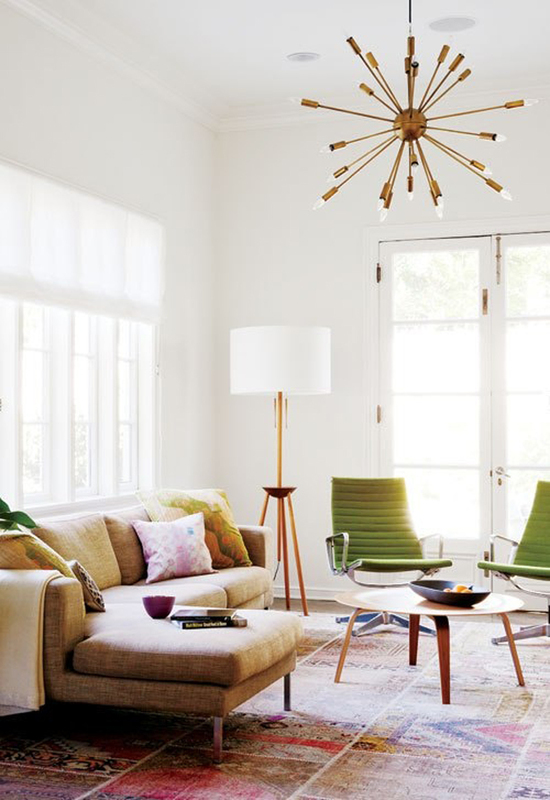 When it comes to interior design Tom and I are drawn in by vintage styles and design. Our favourite room of the house is our living room (which you can see here) its the one we have worked hardest on, from painting, concreting, laying floors, plastering and furnishing (ok so not all of those things we actually did with own hands but still!). Our living room is extremely bright and colourful. Sometimes that's exactly how I like it and sometimes I think of scrapping it all for some whites and browns and greens. 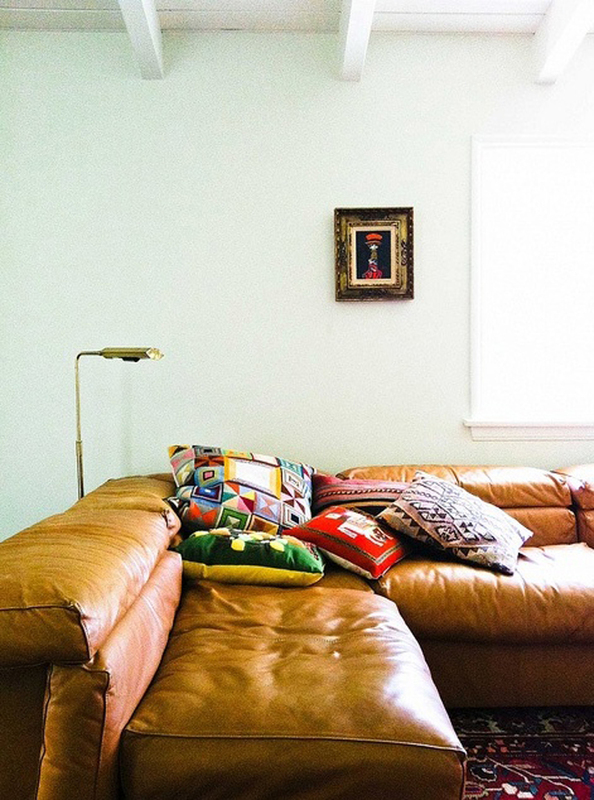 I love the leather corner sofas in these images, not something I would usually consider actually. I think they work really well mixed with the patch work of the cushions and carpet. What do you think, lots of colour for your living space or slightly muted earthy tones?